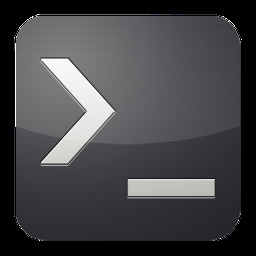 Inqlude command line tool is a basic component of Inqlude project. Inqlude comes as a Ruby gem. It can be easily installed and it provides a command line interface to handle Qt libraries in a similar way as Ruby gems. There are commands to install libraries, list available libraries and installed libraries, and more. They are as follows. Libraries are described by manifest files, which are maintained in a separate git repository. Inqlude integrates with this git repository and uses it as the list of available gems. This repository can be found at https://github.com/cornelius/inqlude-data. There are 3 basic ways to get Qt libraries. 1. Using the web site at https://inqlude.org. There you can find the information about available libraries, and then you can get the libraries using the provided links. This is the recommended way for now. 2. Using the command line client from package. This client makes it easy to get the libraries you need with just a few commands, without having to know URLs, or how libraries are packaged. There are 2 ways to get the command line client. They are as follows. - Download its sources from download.kde.org. Link is here. - Otherwise, clone the repository. Use command line command as follows. This can also download libraries. But this is mostly aimed at maintaining the inqlude data. This is available as a Ruby gem. See if you have rubygems installed in your machine. If so, you can simply use the following command to install inqlude. Otherwise see rubygems.org to get Rubygems. Now that you have command line client set, you can use inqlude commands to get libraries. To get the set of available libraries, use the following command. You can easily install a library with following command. You are able to view the set of installed libraries using this command. This is how I experimented the functionality of Inqlude command line client.